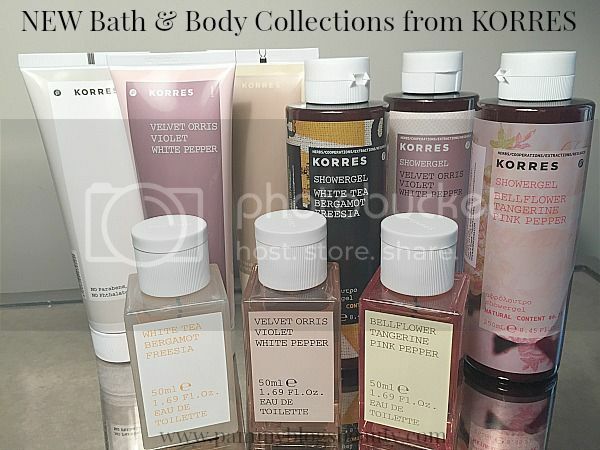 Did you know that there is a new bath and body line from KORRES ? exclusively available at Urban Outfitters? This collection became available in October. You can shop it online or in-store at select Urban Outfitters. Urban Outfitters is one of my favorite go-to stores for hip fashion, cool knick-knacks, accessories, and home decor. There is something so light, uplifting, and refreshing about the overall feel of these body collections. These are super wearable scents! There really is just something special about these collections. I find them all to be everday wearable, soft, feminine, and natural. To find out more details about these beautiful scents, please click "read more" below! 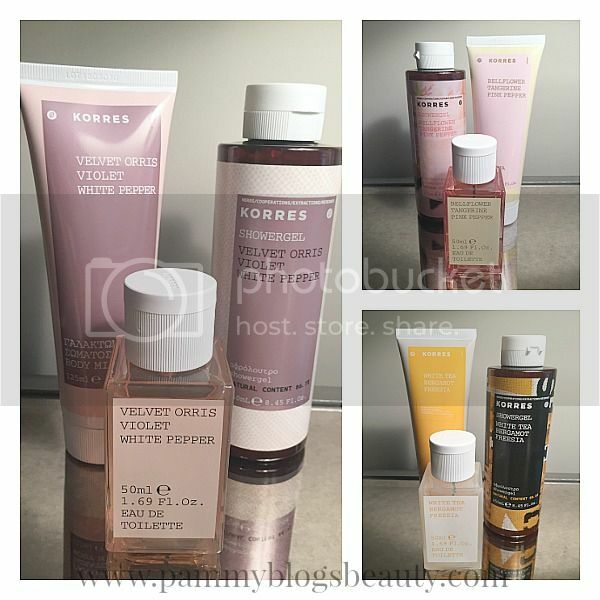 Each collection has a Eau de Toilette, a Body Wash, and a Body Milk. It is honestly hard for me to pick a favorite scent from this assortment of scents. I like them all! Prices range from $18.50-$38.50. Grown on Mount Olympus, the home of the ancient Gods, Bellflower has a sweet yet delicate aroma. Tangerine adds a rich ripened citrus accord that is balanced with the discreet spice of pink pepper to create a sophisticated, sweet, and lightly woody aroma that is 88 percent natural. Top notes: Cardamom, Bergamot, Mandarin and Pink Pepper. Heart: Iris, Tea, Bellflower. Dry Down: White Musk, Cedarwood, Vetiver. Invigorating yet sensual white tea blends with the distinct scent of freshly cut freesias and crisp, clean bergamot to create a heart-warming aroma reminiscent of long evenings along the Mediterranean coast. 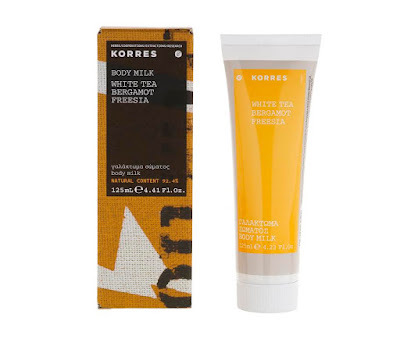 Notes: White Tea, Bergamot, Freesia, Mandarin, Neroli, Cyclamen, Jasmine, Violet, White musk, Cedarwood, Moss. One of nature's most precious ingredients, orris root oil has a distinct aroma that intensifies with age, taking over three years to reach its peak. Each root offers only a few drops of this woody yet oddly sweet aroma with a charming powdery finish. 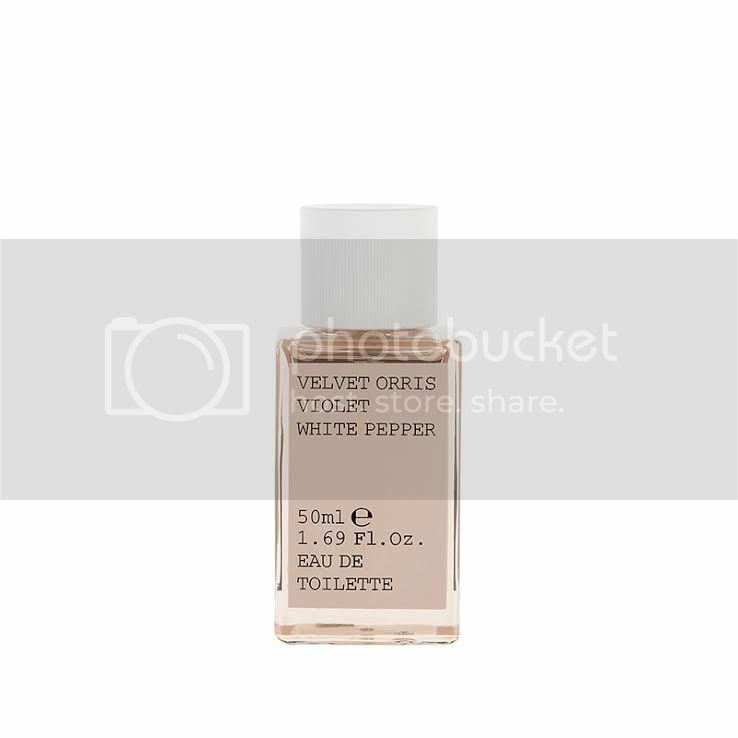 Essence of violet releases modest, sweet powder accords balanced by the sharp and spicy nuance of white pepper create this mystical and seductively soft aroma. Be sure to check out these unique scents next time you are shopping at Urban Outfitters! I had no idea they did an EDT! I am definitely going to test these scents. they sound lovely!